Puget Sound Pipe and Supply is pleased to announce that we are now carrying Charlotte Pipe and Foundry cast iron products. 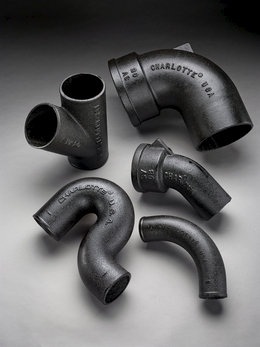 Charlotte Pipe has been a trusted manufacturer of plumbing systems since 1901, and is the nation's top manufacturer of cast iron and plastic pipe and fittings. Headquartered in Charlotte, NC, Charlotte Pipe has seven plant locations across the United States, and is distributed around the world. Puget Sound Pipe and Supply will offer the complete line of Charlotte Pipe and Foundry’s cast iron offering, including no hub, service weight, and extra heavy cast iron pipe and fittings. For more information on Charlotte Pipe please contact your local salesperson. For more information on the product offerings of Charlotte, please see their website!